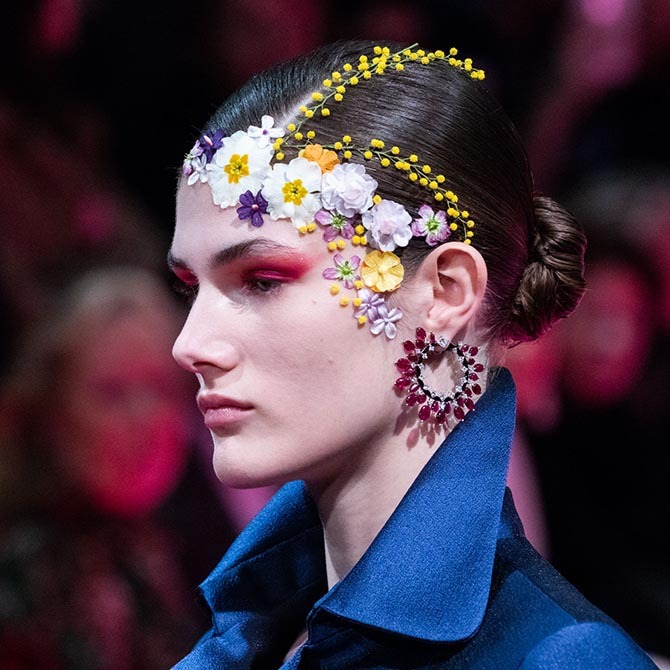 Well, after almost 50-years somewhat behind closed doors, Reza stepped out in a big way with some signature silhouettes at the Spring ’19 Couture presentation of Alexis Mabille. Dubbed Rainbow Splash by the fashion designer, the bold precious jewels set with diamonds, rubies, emeralds and sapphires, more than held their own against the colorful gowns and joyful floral hair ornaments. See highlights from the presentation that was staged last week in Paris below. 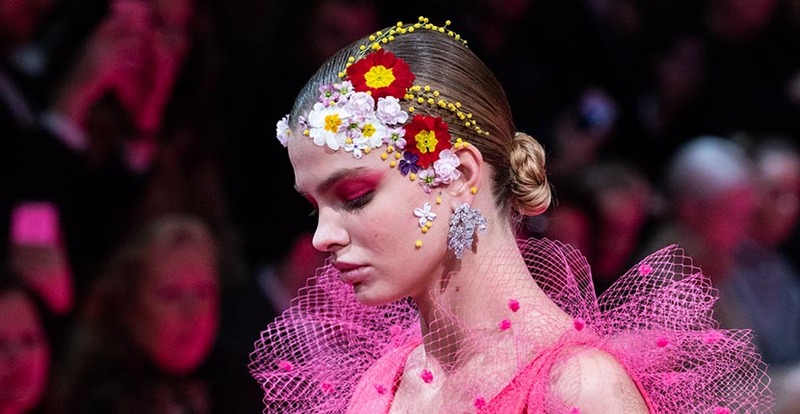 A model at the Alexis Mabille Spring ’19 Couture show wearing Reza Tiare earrings set with 45 carats of unheated rubies, intertwined with over 100 princess-cut and brilliant diamonds. 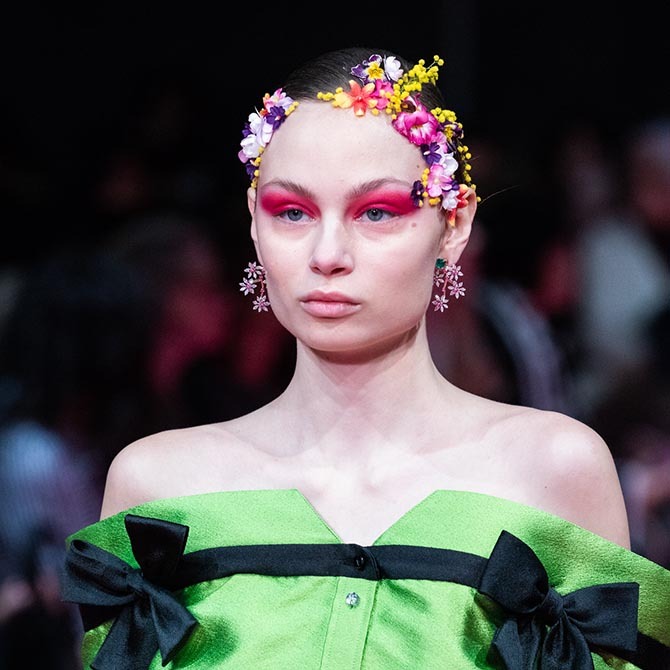 A model at the Alexis Mabille Spring ’19 Couture show wearing Reza Colombian emerald and diamond earrings. 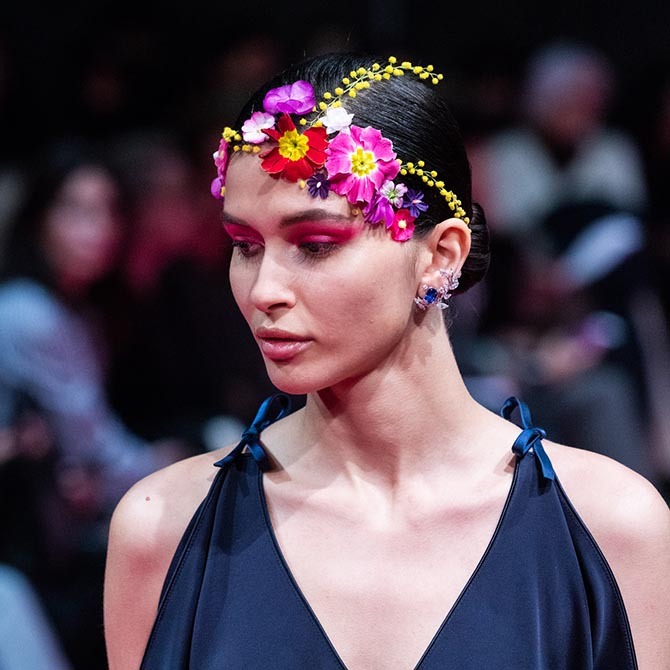 A model at the Alexis Mabille Spring ’19 Couture show wearing Reza Birmane earrings with two pear-shaped unheated Burmese sapphires of 20.34 and 18.49 carats. The Birmanes also feature two D color internally flawless diamonds weighing 3.42 carats, 16 sapphires and an extra 160 diamonds. 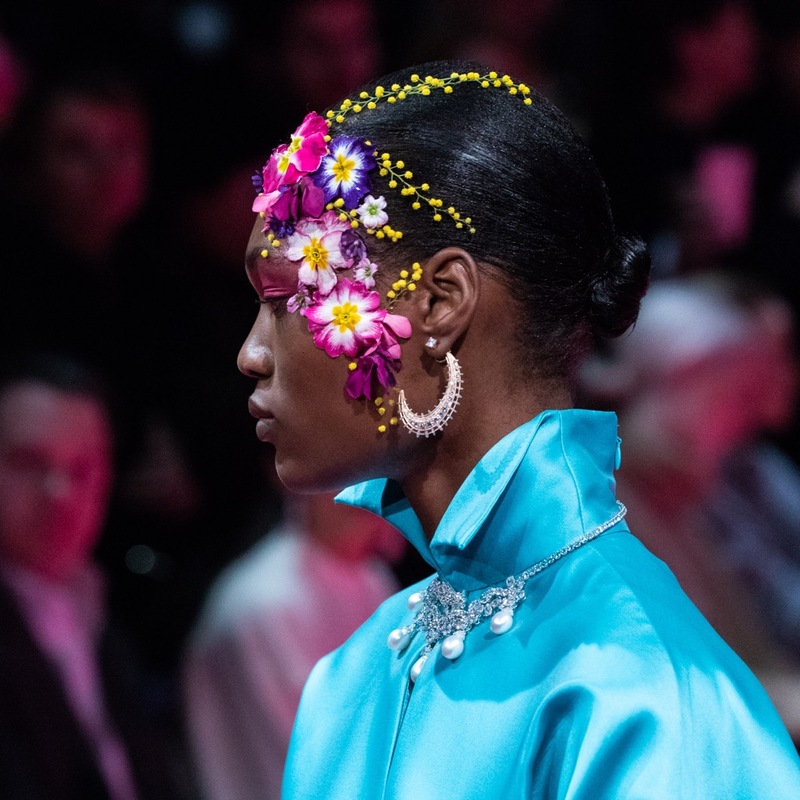 A model at the Alexis Mabille Spring ’19 Couture show wearing Reza Branches earrings set with two emeralds, 30 unheated cabochon rubies, 40 marquise-cut diamonds and 16 pear shape diamonds in rose gold. 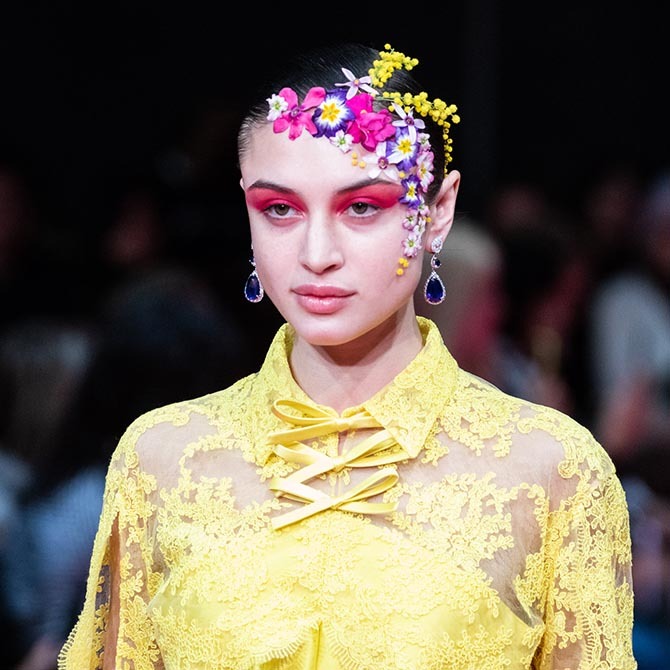 A model at the Alexis Mabille Spring ’19 Couture show wearing Reza Branches earrings. The earring in the photo is set with a 4.80-carat Burmese sapphire surrounded by diamonds of various cuts. The earring not shown is set with a pear shaped Brazilian 2.67-carat emerald. 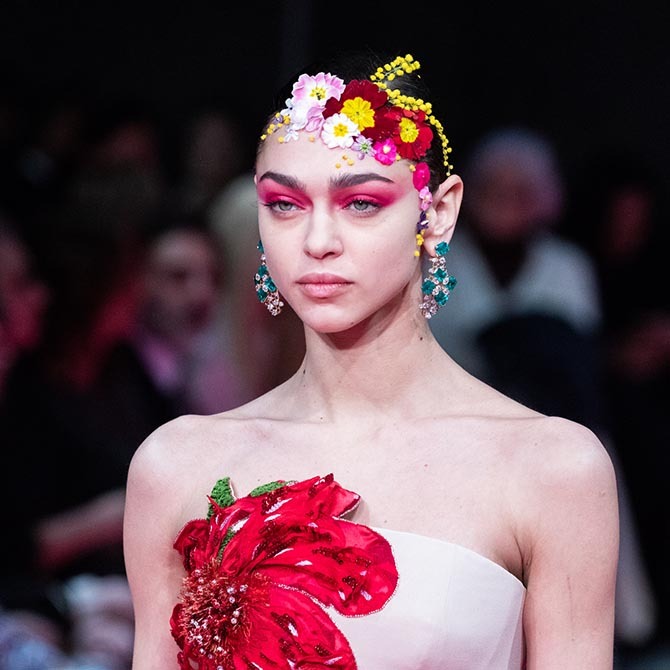 A model at the Alexis Mabille Spring ’19 Couture show wearing Reza Crescent earrings set with two princess-cut diamonds, slice shaped diamonds and brilliant-cut diamonds. The model is also wearing the Reza Duchesse necklace featuring 5 pear-shape South Sea pearls, pear, marquise, oval and brilliant-cut diamonds set in white gold and platinum.